The Cricket World Cup in England is barely months away and India seem to have a lot of the positions filled going into the World Cup. The top 3 of the Indian batting order are the envy of the cricket world and possess the capability to win any game on their own. Shikhar Dhawan and Rohit Sharma have been a very successful and explosive opening partnership for India for a long while. One of the foundations to building any good cricket team is to have a settled and quality opening pair, and in ODIs it doesn’t get better than the Rohit-Shikhar duo. Should a bowling unit successfully remove one of them cheaply, then their celebration quickly turns sour when they spot the new batsman walking in at 3 – Virat Kohli. Virat Kohli’s form has been nothing short of Bradmanish in all formats and especially in ODI cricket. Kohli’s avg in the original white ball format is approaching 60, and you get an idea of how high that is when you compare it to the batting avgs of the batting greats of past, none of whom had an avg greater than 45. Kohli’s ODI record comprehensively dwarfs the ODI records of all the greats in the past, and his presence in the middle sends the opposition camp in all kinds of despair. I do not possess the vocabulary to fully do justice to Kohli’s achievements and quality and frankly I don’t need to, as his stats more than speak for themselves. In Bhuvaneshwar Kumar and Jasprit Bumrah India possess two lethal bowling options for both at the start as well as the end of the innings. 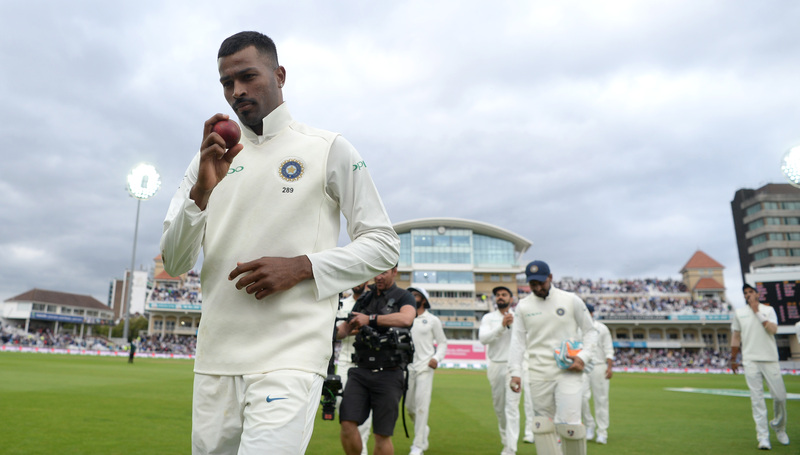 Bhuvaneshwar Kumar will find the conditions in England at the start of the innings much to his liking and possesses the ability to trouble even the best of batsmen with the new ball. Bumrah has quickly earned himself the reputation as the best end overs bowler in the world and he has justified the tag on many occasions with his toe crushing yorkers and deceptive slower balls, not only restricting the scoring rate but also picking up plenty of wickets. Despite the presence of Bumrah and Bhuvnashwar Kr. it won’t be wrong to say that the real star of the Indian bowling unit is Kuldeep Yadav. The left arm Chinaman has had a strong start to his career and has outfoxed the batsmen to ensure a steady stream of wickets in the middle overs more often than not. The Indian team however is not quite fully settled and there are some issues for the team to sort before the World Cup starts. Dhoni’s batting form on its knees? ​Few will dispute that MS Dhoni is no longer the batsman he once was. However, even so, there isn’t really any question of him not being on the plane to England. For a start, even though his batting has clearly declined his keeping, as evidenced by the lighting quick stumpings and the running and diving catches, during the ongoing India vs WI ODIs, remains as good as it as ever been. It wont be overstating if one said that MS Dhoni remains the best Keeper (leaving aside the batting) that India has currently. 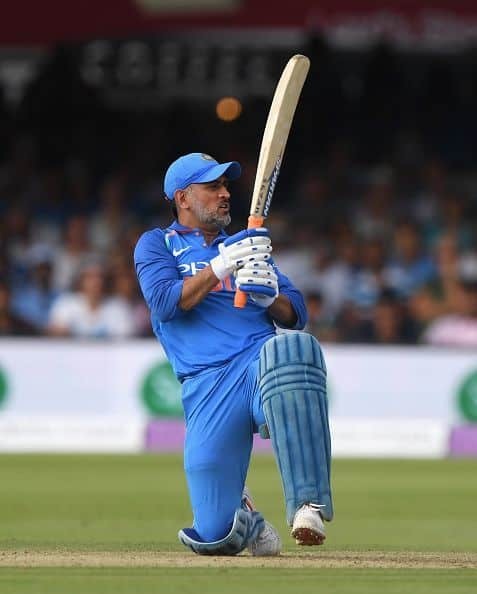 Then coupled with that is MSD’s experience and his mere presence on the field is enough to calm the players and there is no replacement for all the experience he has. He has seen every situation that could possible arise on the field and in tense situations his presence and the guidance he could provide to Kohli is invaluable. However India would feel a lot better if MS Dhoni found his touch with the bat again. A lot of the issues with Dhoni’s batting off late seem to revolve around lack of clarity about his role. Is he supposed to be accumulator now, or is he supposed to be the finisher taking on the bowlers, and looking to attack. What hasn’t helped MS Dhoni has been the India’s long tail. If he gets out then he exposes the tail and they can’t do the job, and if looks to stick around and push the singles then that is of little help towards the end of the innings where boundaries are required. Better playing XI combinations that don’t leave the India batting too shallow will help give Dhoni the confidence to go after the bowling without worrying about exposing the tail too early if he gets out. However more importantly the India team needs to give him the license to attack, regardless of the situation he comes out to bat in. More clarity about his role will help MS Dhoni bat with an uncluttered head and his shots will start to flow. In the recent 3rd India vs WI ODI, India failed to chase down what was a par score and a lot of it had to do with that team combination that left the Indian batting too shallow. India’s last 5 batsmen in that ODI were Bhuvaneshwar Kr. who is hardly the greatest batsmen in the world, though he could at times hold his own, followed by Kuldeep Yadav, Yuzvendra Chahal, Khaleel Ahmed and Jasprit Bumrah. India’s batting stopped at no. 6 and to be brutally honest, whatever runs the batsmen after that contributed would be considered a bonus. India cannot leave themselves this shallow in the batting department, and need more players who could fill multiple roles. Kedar Jadhav is someone who could add depth to both the batting as well the bowling and with his dart throwing bowling action, Jadhan has enough wickets to consider him more than a mere filler bowler. Hardik Pandya’ return to the playing XI will greatly help fix the combination and India should perhaps even consider picking Krunal Pandya. The elder Pandya can bowl, is a fine hitter with the bat and a solid fielder. KL Rahul is too good a batsman to be left out. One of the keys to winning any big tournament in any sport is to put the available resource to the best possible use. With KL Rahul warming the bench, India are clearly not doing that. 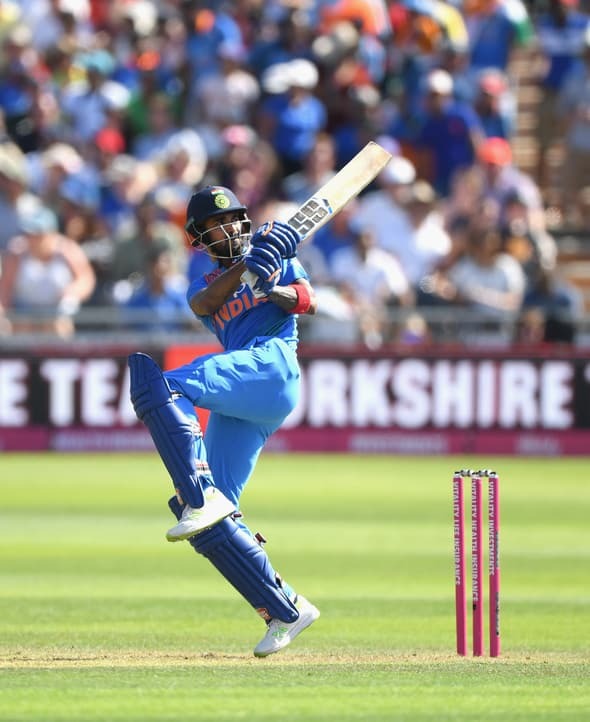 KL Rahul will walk into the playing XI of most, if not all ODI teams of the world. That he is warming the bench for India seems a difficult decision to explain, especially in light of the fact that the India middle order has not exactly been firing on all cylinders in recent games. The obvious hindrance to KL Rahul getting into the playing XI is that there are only 2 openers’ slots and Rohit and Dhawan have those slots firmly occupied. However being versatile is a big part of white ball cricket, and its strange why Rahul hasn’t been tried at no. 4. KL Rahul is too good a batsman to be wasted out on the sidelines. Rayudu has done his chances no harm so far, but Rahul has experience of playing in England and had a very successful white ball series in the recent tour to England. Rayudu has had some success playing in India against a questionable WI bowling attack. Does he have the game to score outside India though. The upcoming white ball games in Australia and New Zealand will provide the answers to that, but either way Rahul being wasted on the bench doesn’t equal best utilization of available resources by India.